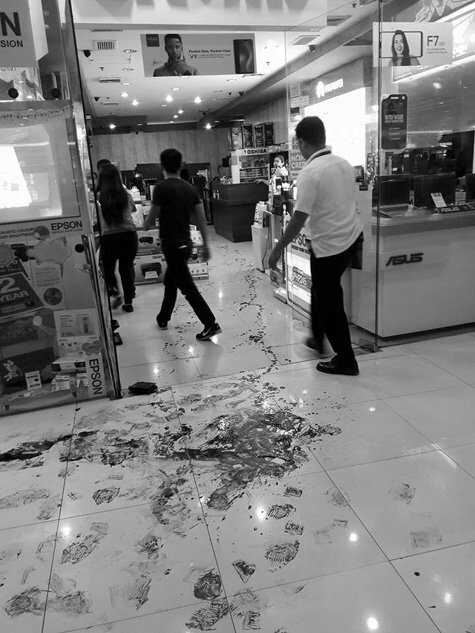 After heated argument, a computer store manager manage to escaped after stabbing a customer dead who failed to present a claim stub in Quezon City mall. The customer was identified as Geroldo Ramon Lopez who went to the computer store at 5:30 pm, wanted a repair of his laptop but failed to show a copy of claim stub. The manager refused to give the item since the owner was unable to present the claim stub. Few minutes after the owner went back but according to the witnesses, there started an argument. Leo Laab, store manager picked a bladed weapon and stubbed Lopez, declared dead on arrival at the hospital.